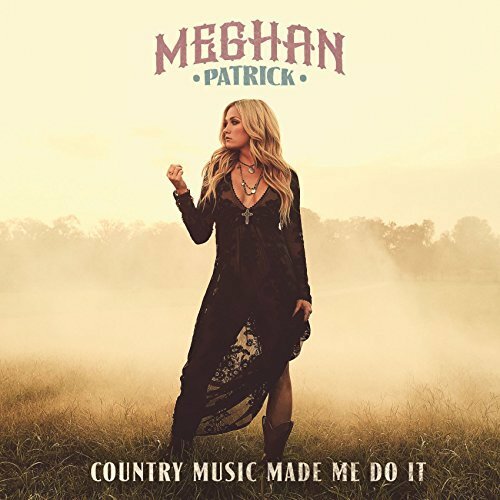 Meghan Patrick of Bowmanville, Ontario, is the reigning CCMA Female Artist of the Year and SiriusXM Rising Star winner, she has released her new album Country Music Made Me Do It. Produced by veteran Nashville song writer and producer Jeremy Stover, and mixed by studio heavyweight Chris Lord-Alge who has won Record of the Year Grammys for his work with everyone from Alison Kraus to U2. Patrick co-wrote all but one of the 12 tracks on the album. Co-writers for her new album include Jeremy Stover, who shares writing credit on the title track, Kelly Archer (Brett Young, Dustin Moore) and Justin Weaver (Kip Moore, Jason Aldean), who helped pen “Walls Come Down,” and Derick Ruttan and J.T. Harding (Dierks Bentley, Kenny Chesney) who worked with Patrick on “Case Of Beer And A Bed.” The album is a culmination of excellent songwriting and singing. From soulful ballads to uplifting stories, Patrick’s capabilities and talents will keep you enthralled with beautiful singing. That’s the short of it! Great songwriting throughout the twelve tracks. Patrick’s superb sophomore album will certainly find a warm spot in your heart. With a variety of songs that cover various subjects and various musical styles and tempos, Patrick shows she can sing and play and sound good doing them. Canadian Patrick has tapped into the country soul for sure! The song writing on Country Music Made Me Do It is very strong. Her voice has all the elements of a great country singer: country attitude, vocal control, wide vocal range, and a clear sincere warm vocal timbre. A wonderful second album from Patrick, a collection of songs that all have depth to them, both musically and vocally, and the attitude and playfulness that Patrick conveys is believable and beguiling.